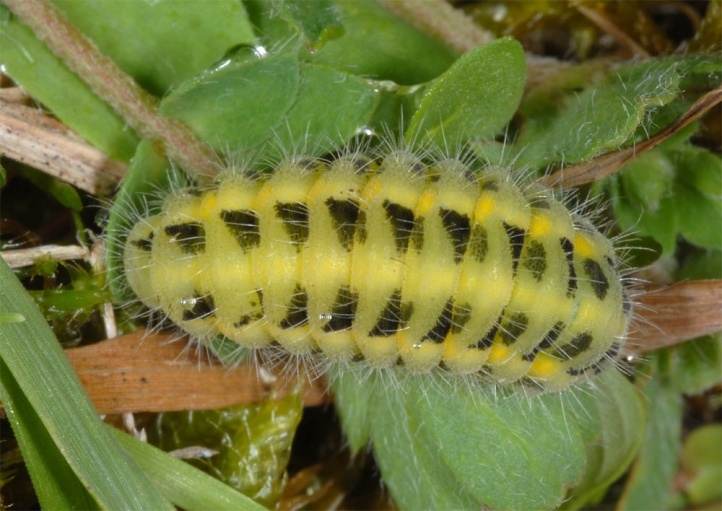 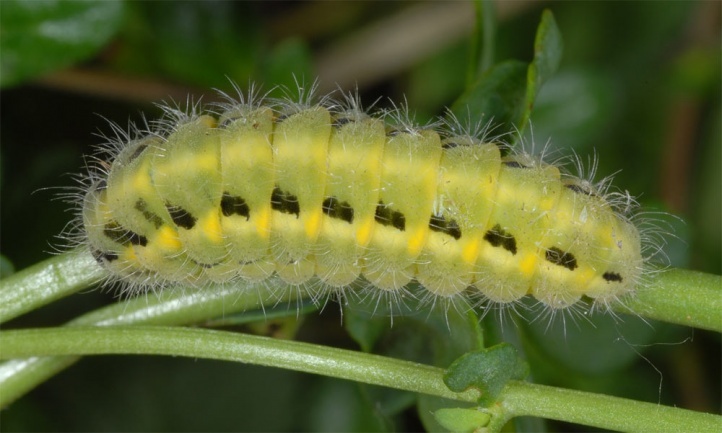 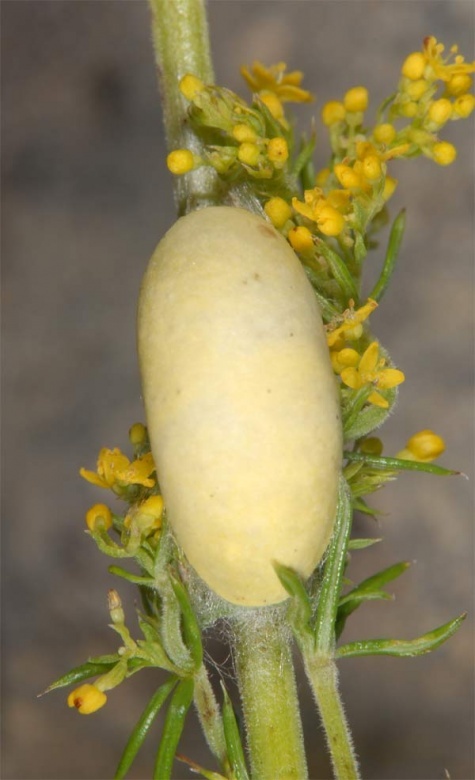 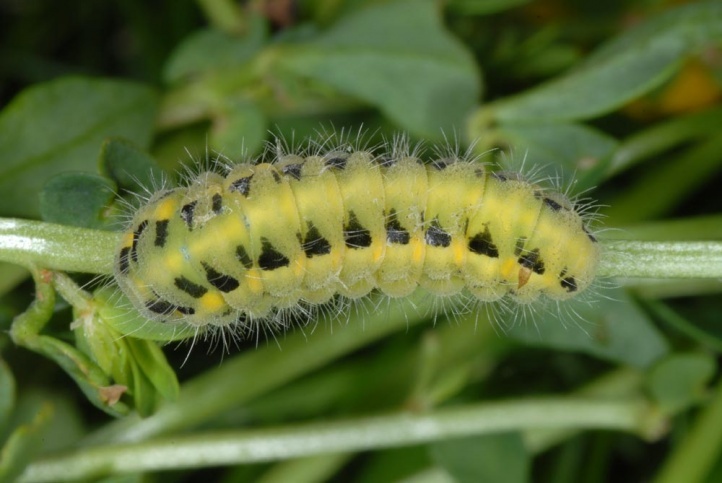 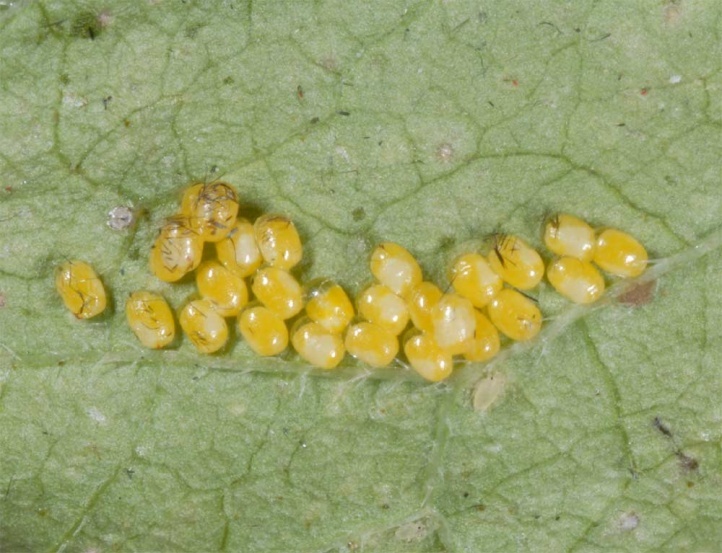 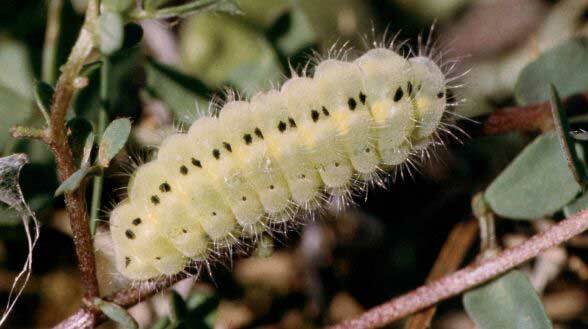 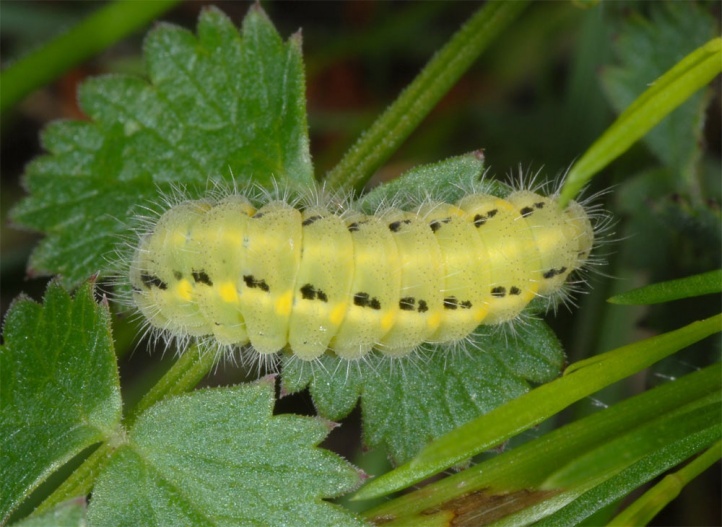 The larva feeds on Lotus species such as Lotus corniculatus and Onobrychis species such as Onobrychis viciifolia. 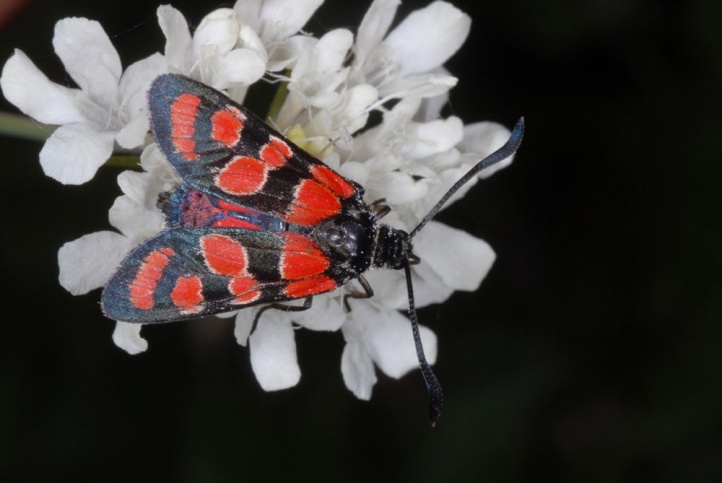 Zygaena carniolica occurs on sun-exposed limestone grasslands, steppe slopes, dry pastures and locally on clearings in bright woodlands (e.g. 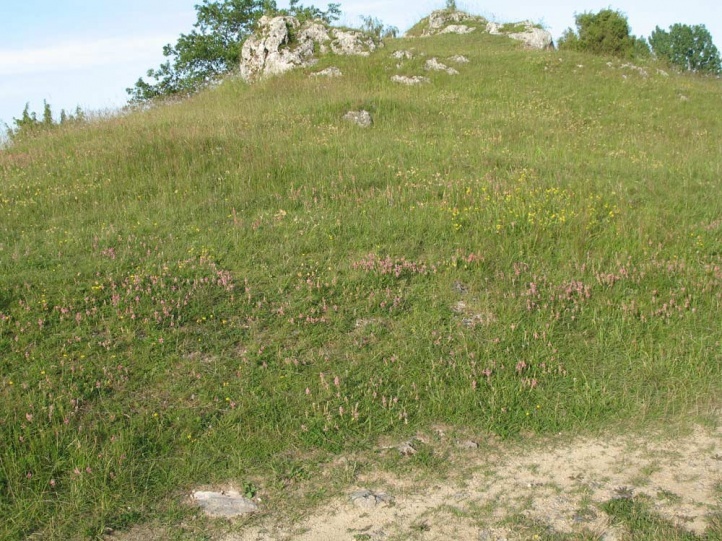 coppicing woodland in northern Bavaria or in Southern Europe). 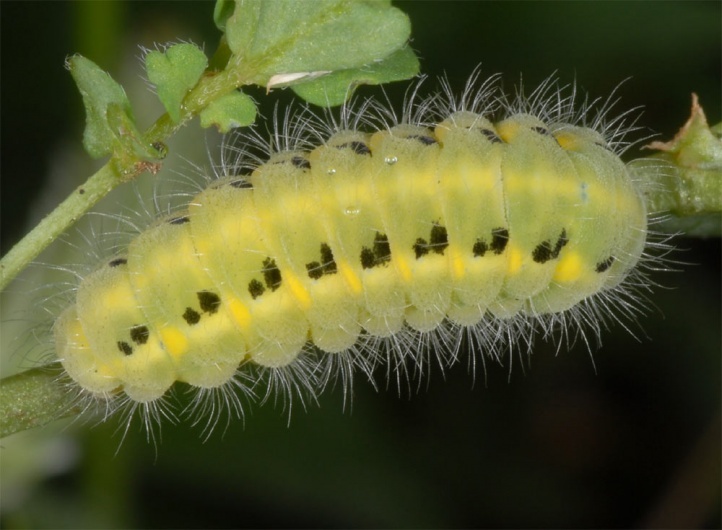 Because of the long larval development time, reproduction habitats are almost exclusively southeast to southwest exposed in Central Europe. 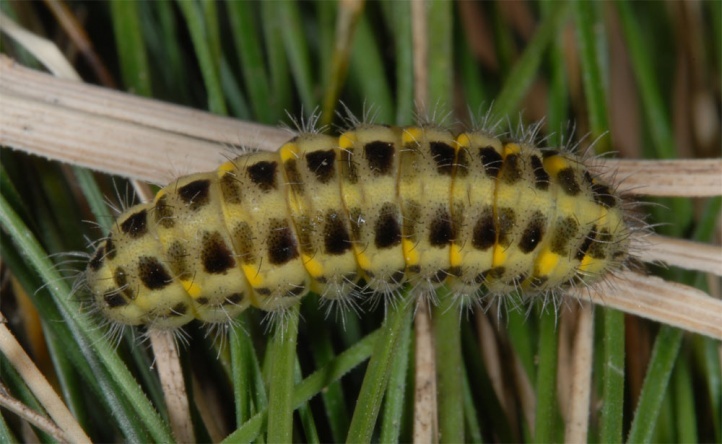 Hibernation takes place as a caterpillar (potentially multiple times, as with all Zygaena). 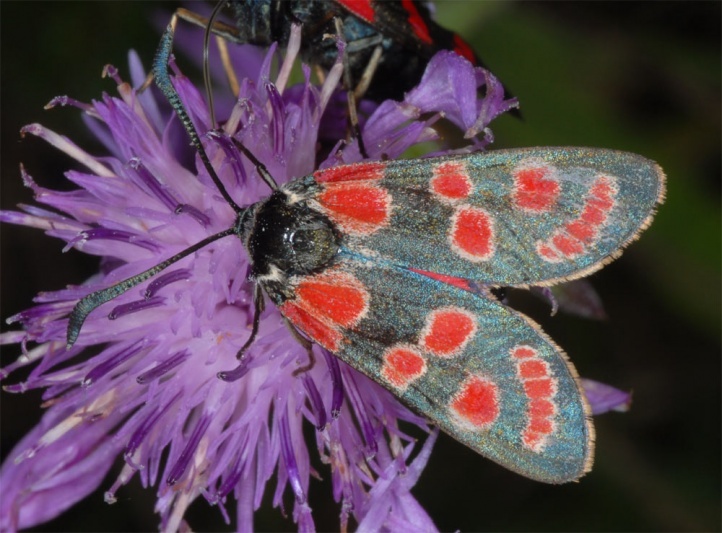 The flight time is in July and August (in some regions already in June). 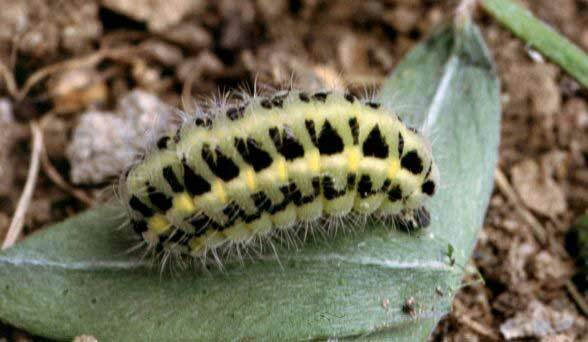 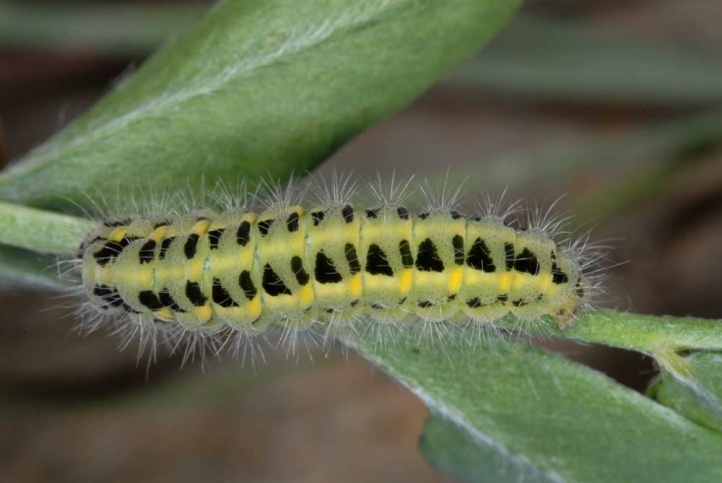 The caterpillars will need a majority of the Central European growing season for their development. 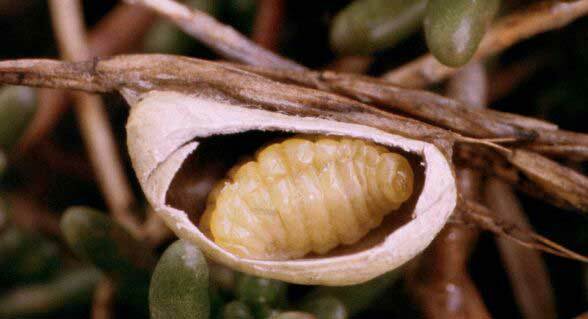 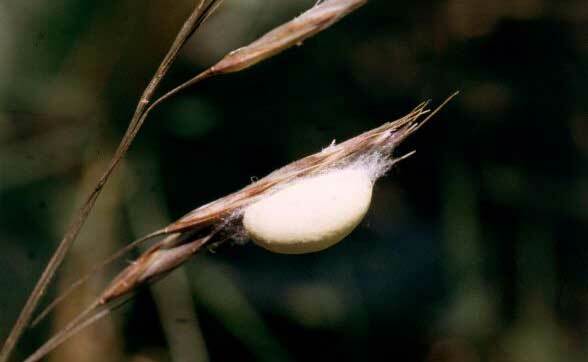 They molt between March and mid-April out of the diapause and become mature during June. 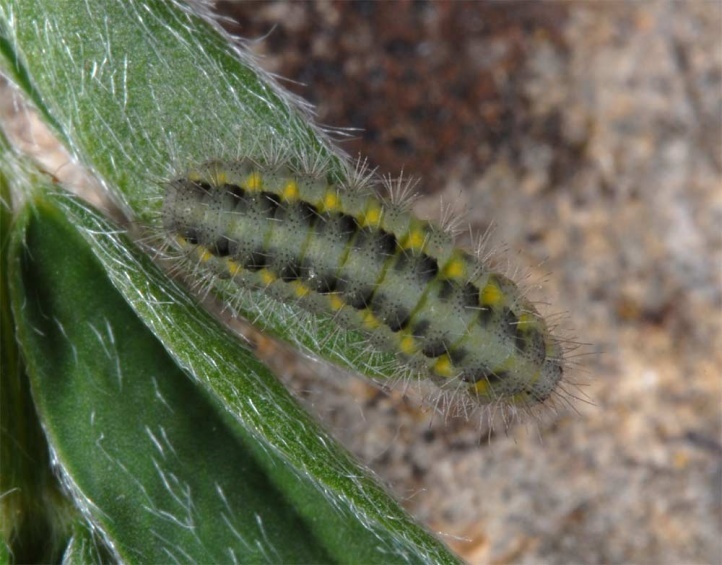 The young caterpillars will begin diapause usually between late September to October. 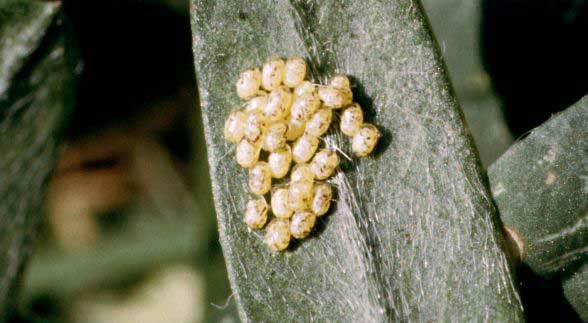 The cocoons are partly spun at straws, but the majority are hidden near the ground in the litter. 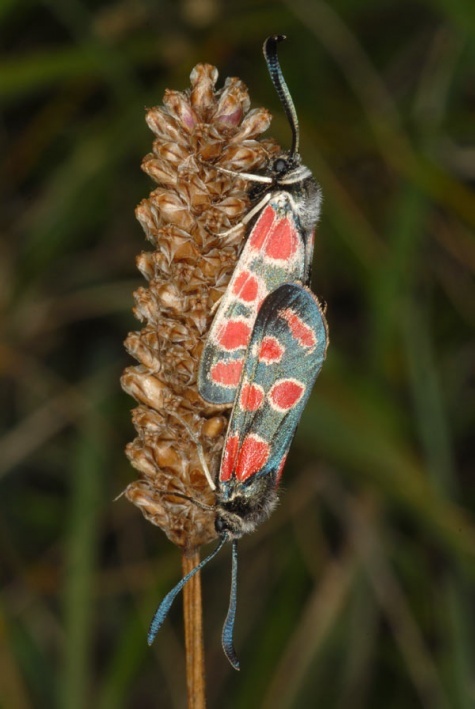 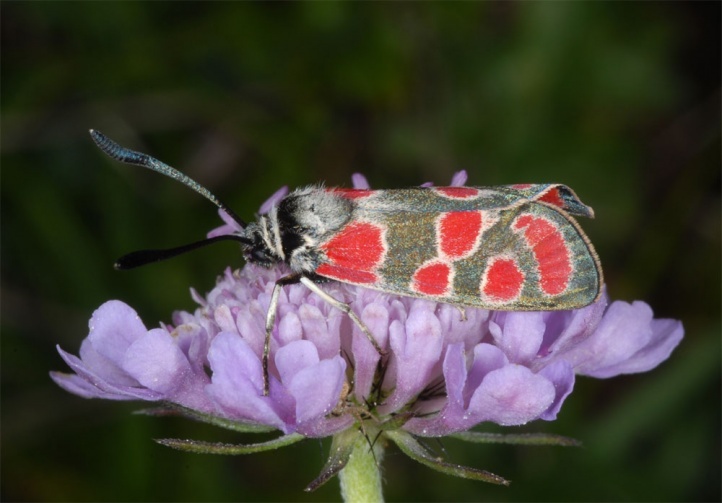 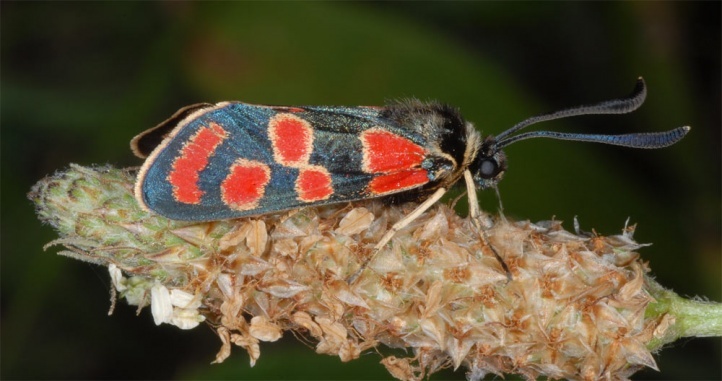 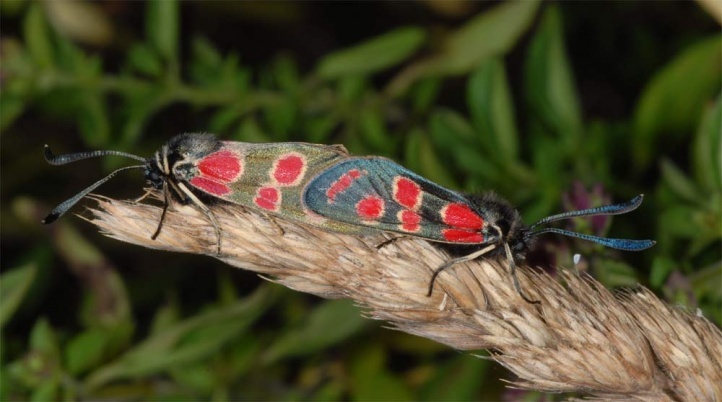 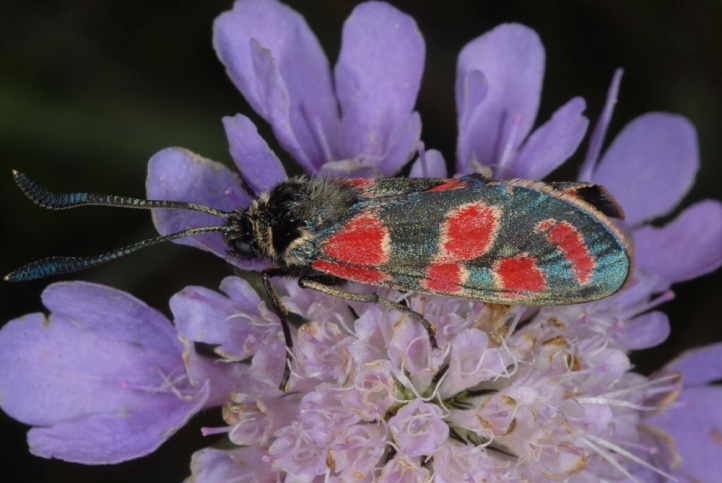 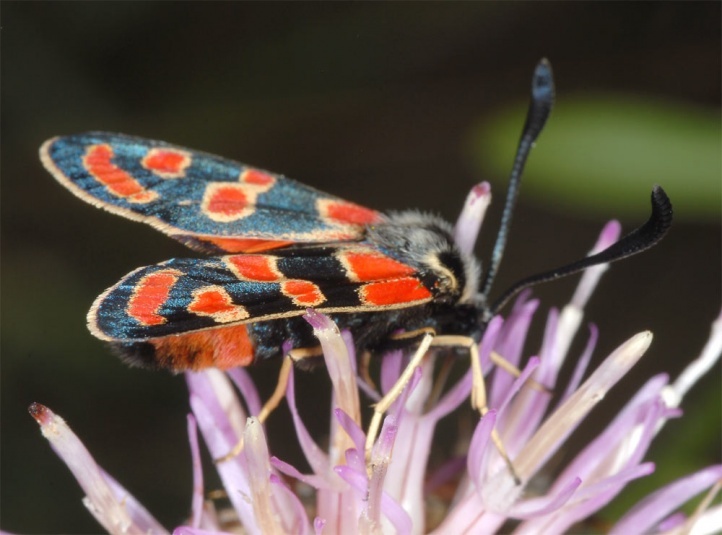 In Central Europe Zygaena carniolica declines with the loss of calcareous grasslands. 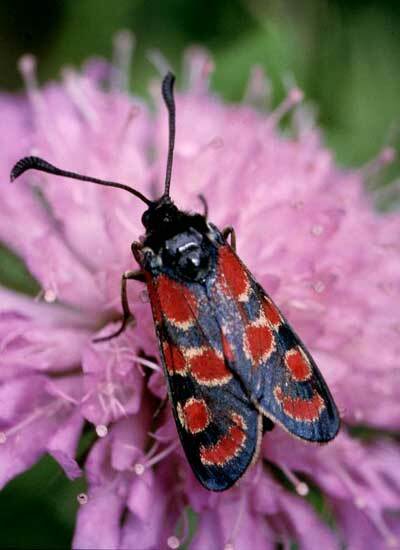 Zygaena carniolica tolerates grazing at least at locations where it lives on Lotus and requires a moderate grazing in order to maintain good habitat quality. 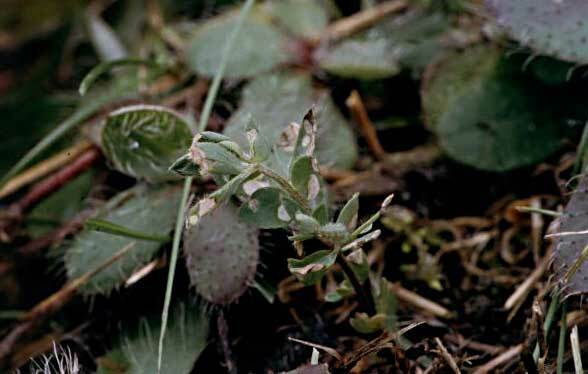 But at sites with Onobrychis, grazing should be only very weak. 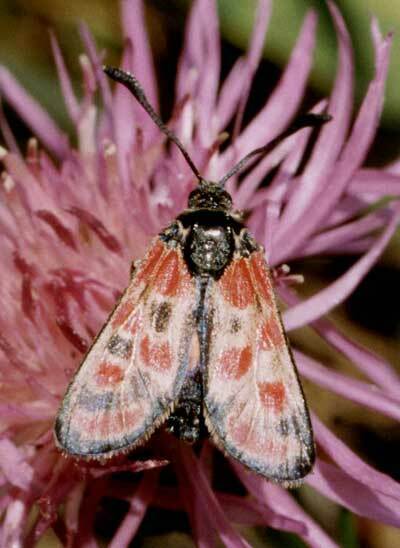 The adults often form so-called parking stations in large numbers on flowers and other elevated plant parts. 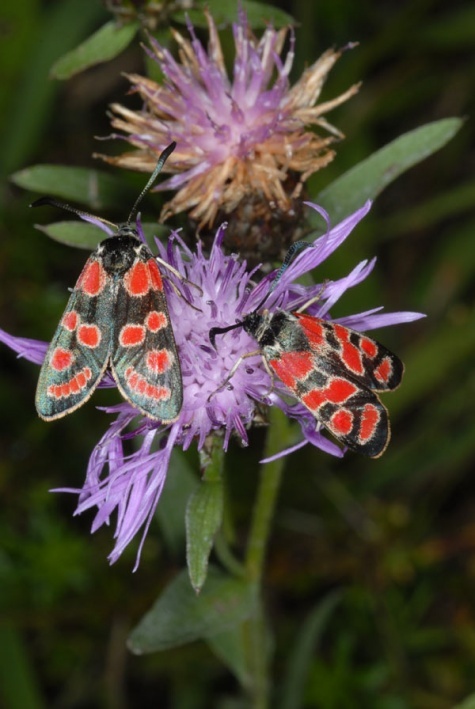 The distribution extends from Spain (here very rare and local) across Central and Southern Europe to Lake Baikal and the Tien Shan.